We need to turn down the volume on our lives to protect our hearts. Ringing phones, traffic, even kids screaming increases the risk of heart attack. 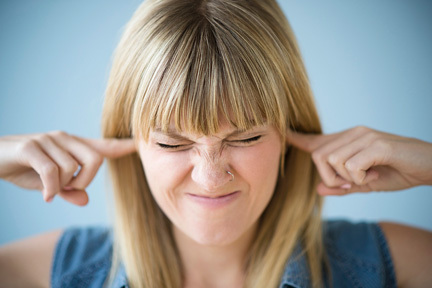 Loud noises – and constant noise – are both linked to an increased heart rate. And any noise that causes stress is a culprit. It leads to a surge of activity in our nervous system. That spikes blood pressure, constricts blood vessels and, hello heart attack. So, find quiet places to calm down and breathe deeply. And if you work or live in a noisy environment, wear earplugs or noise canceling headphones.